Enjoy the Hermann experience with Hermannhof! Hermannhof has been creating memorable experiences for our guests for more than 25 years. 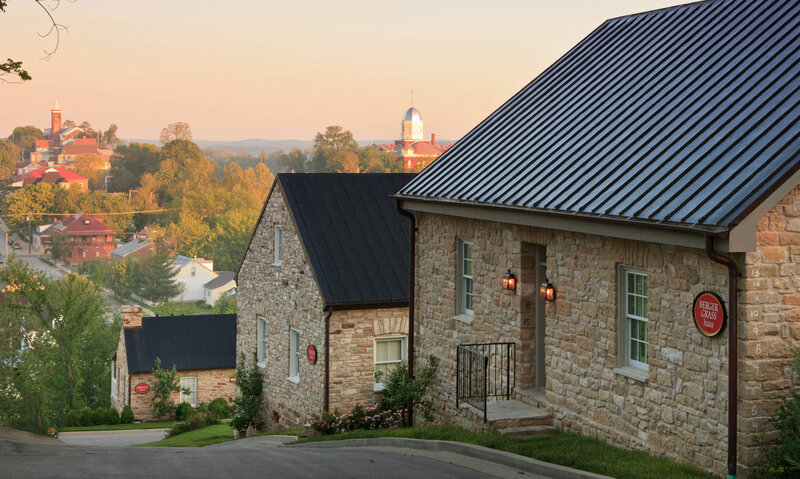 The location in Hermann, Missouri wine country makes the Hermannhof unique properties convenient to the Kansas City and St. Louis metropolitan areas and an easy drive from Chicago. 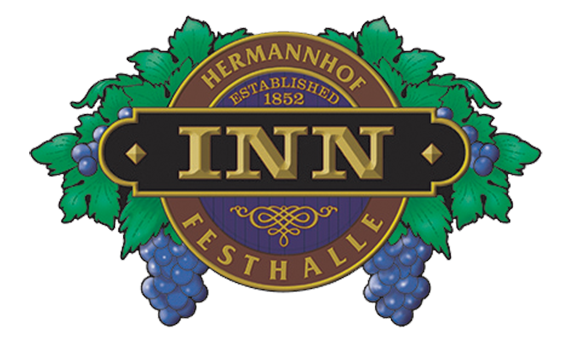 Amtrak has a depot in Hermann located within walking distance of the Hermannhof resort and venues. 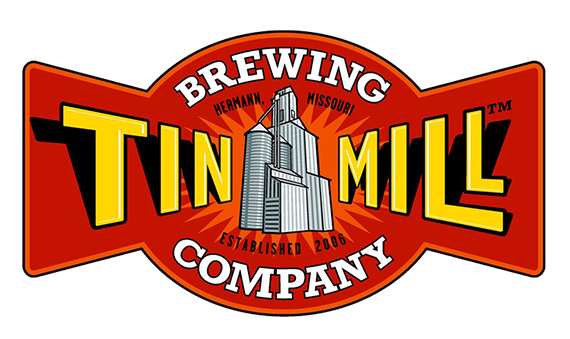 Stay at the five-star boutique Inn at Hermannhof, sip award-winning wines at Hermannhof Winery, enjoy steaks and seafood at Tin Mill Steak House, celebrate with craft brews at Tin Mill Brewery, tour Hermann Farm Museum, and savor some spirits at Black Shire Distillery. Our return guests know that a Hermannhof event is always a great idea! With more than 14 unique, exceptional venues, you can not go wrong when looking for the perfect backdrop for weddings, corporate retreats and other special celebrations. 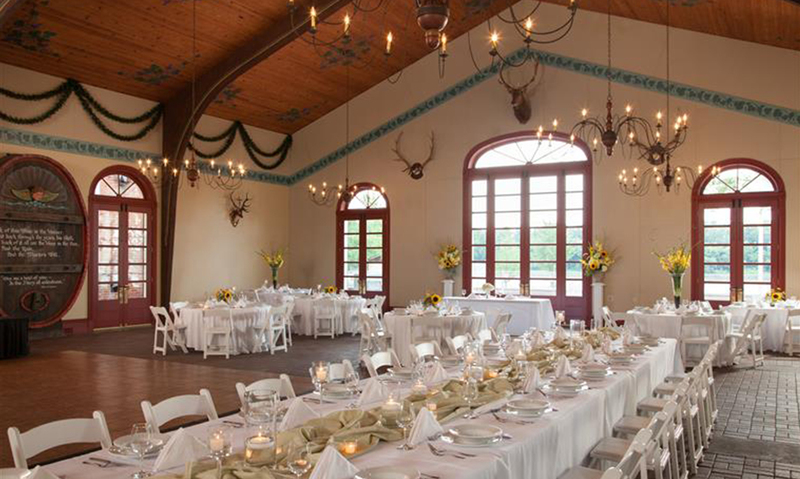 A great opportunity for engaged couples and their families to see all Hermann has to offer for a Wine Country destination wedding. Hermannhof personally invites you and your family to visit our facilities during Hermann’s Wedding Trail. Stop by for a guided tour of our facilities and services, to include our suites, Grand Festhalle, Celebration Hall, Hofgarten and Winery. Enjoy chocolate and wine pairings at Hermannhof and six other stops on the scenic Hermann Wine Trail. Hours are 10:00 to 5:00 Saturday and 11:00 to 5:00 Sunday. Words to the wise — tickets sell out early for this popular Valentine's getaway. This popular event celebrates the traditional art of German sausage making. Festivities end with the traditional Maifest parade on Sunday afternoon. The Hermann Garden Club's 25th annual garden tour will feature a walking tour of downtown gardens and a driving tour of country gardens. The event also includes a garden demonstration area at Deutschheim State Historic Site. Motorcycles riders and enthusiasts rally at the Hermann Amphitheater for an afternoon of live music and great food. Hermann's expanded Fourth of July celebration gets underway with a Wednesday night concert at the Amphitheater. Fourth of July events include an afternoon parade, followed by games and vendor booths at Riverfront Park. A free City Band concert at the Amphitheater is followed by a spectacular fireworks display at the riverfront. A great line-up of jazz performances comes to the Amphitheater. Grab a lawn chair or blanket and enjoy the show — it's FREE. 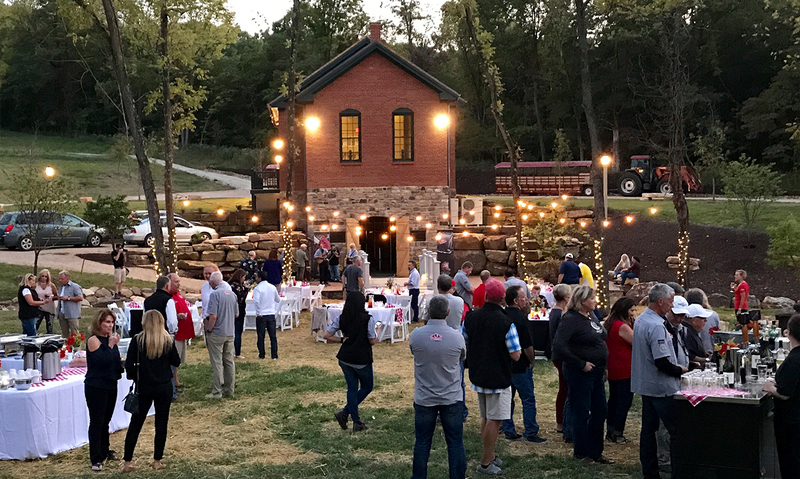 Held every weekend throughout the month of October, the Hermann Oktoberfest is an annual tradition for thousands of visitors, who enjoy a traditional German celebration amid spectacular fall colors in Missouri’s most beautiful town. 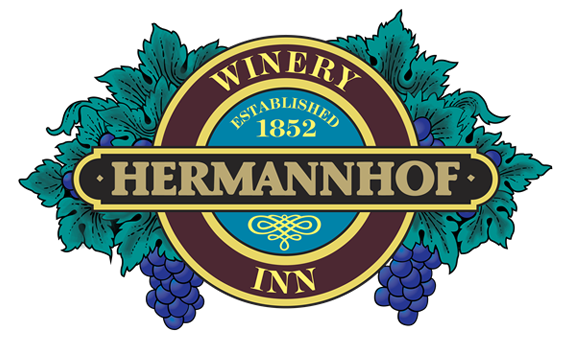 Enjoy festive food and wine pairings at Hermannhof and six other stops on the scenic Hermann Wine Trail. Event hours are 10:00 to 5:00 Saturday and 11:00 to 5:00 Sunday. $30/person. Advance tickets required. Enjoy cheese-inspired dishes and wine pairings, from classic to creative, at Hermannhof and six other stops on the scenic Hermann Wine Trail. Hours are 10:00 to 5:00 Saturday and 11:00 to 5:00 Sunday. Advanced tickets required. 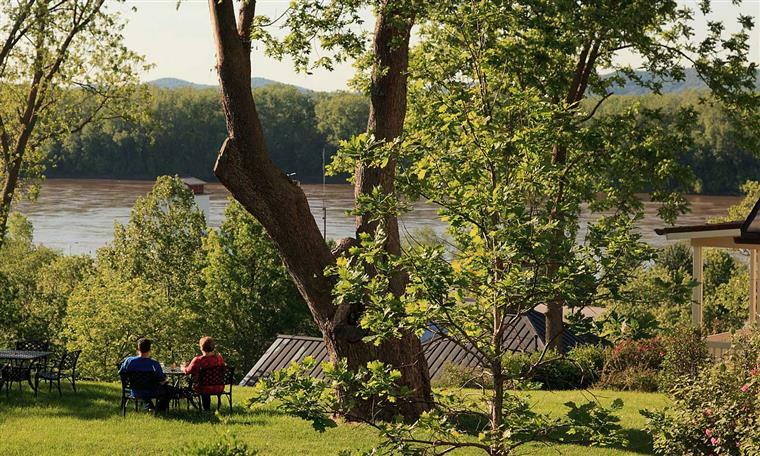 The Hermann Wine Trail meanders for 20 scenic miles along the Missouri River. Along the trail, seven family owned wineries are open for tasting and tours. Don’t miss out on the multiple wine trails including Chocolate, Bacon, Berries & BBQ, Holiday Fare, and Say Cheese themed weekends. A celebration devoted to the exploration of whiskey throughout the centuries. Sample the finest American made whiskey, bourbon and scotches. 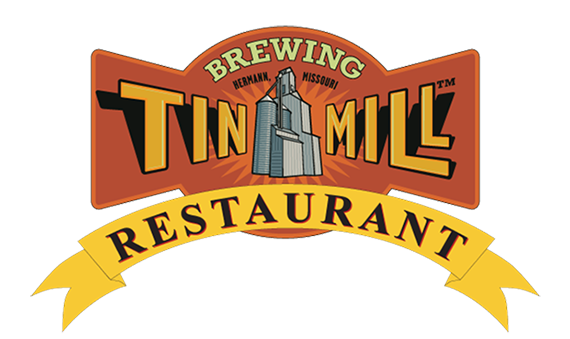 Live music, cigars and delicious foods will complement the tasting experience.